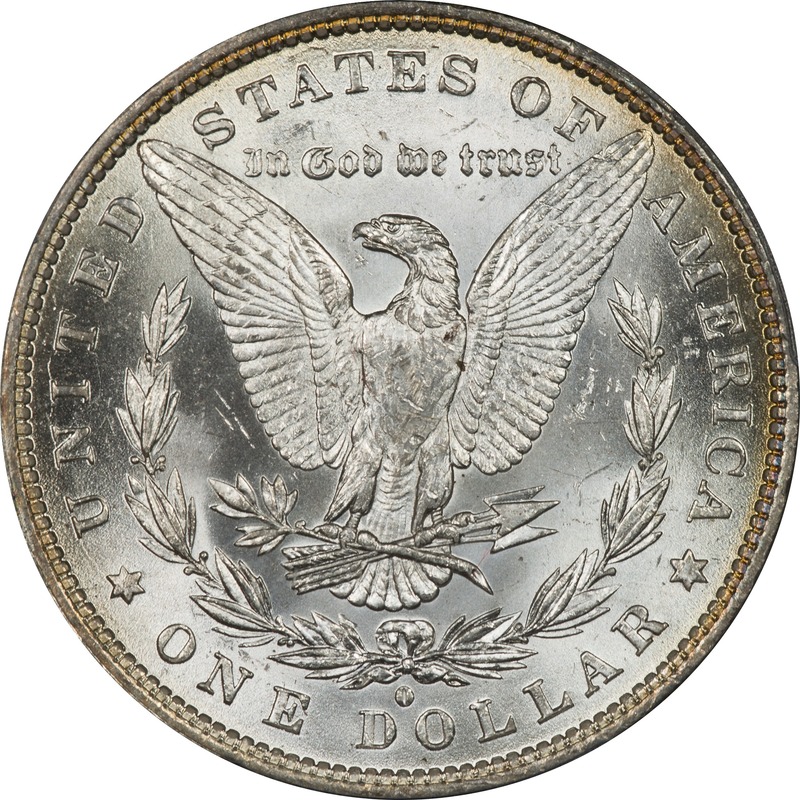 Comments: You almost need to judge this coin by its reverse rather than the obverse. The reverse is almost clear of bag marks and is quite attractive. So what drops the grade? There is a flatness to the hair above the ear indicating an incomplete strike. Plus the color isn't overly attractive because of moisture damage. There is some indication on the face and in the field of textile contact with the Mint bag. 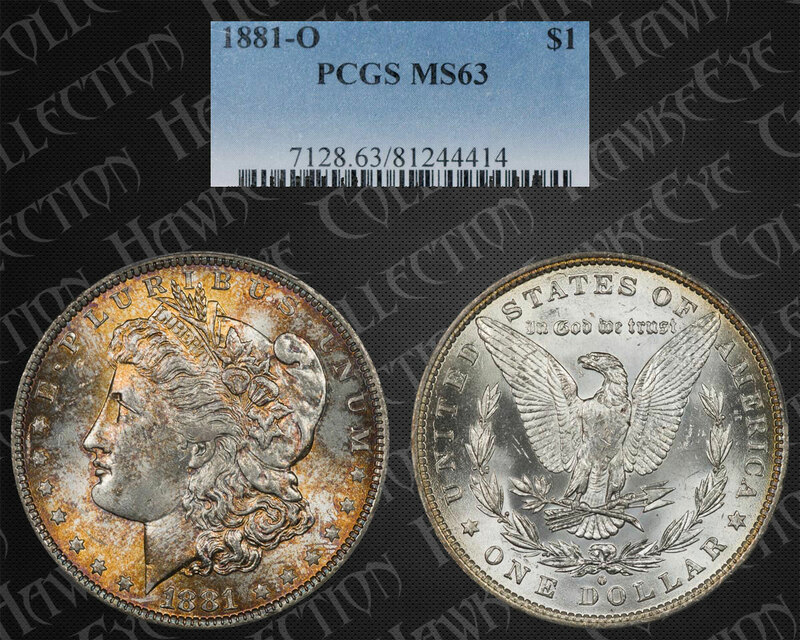 We appreciate the coin as a teaching tool and wish it had not been damaged. 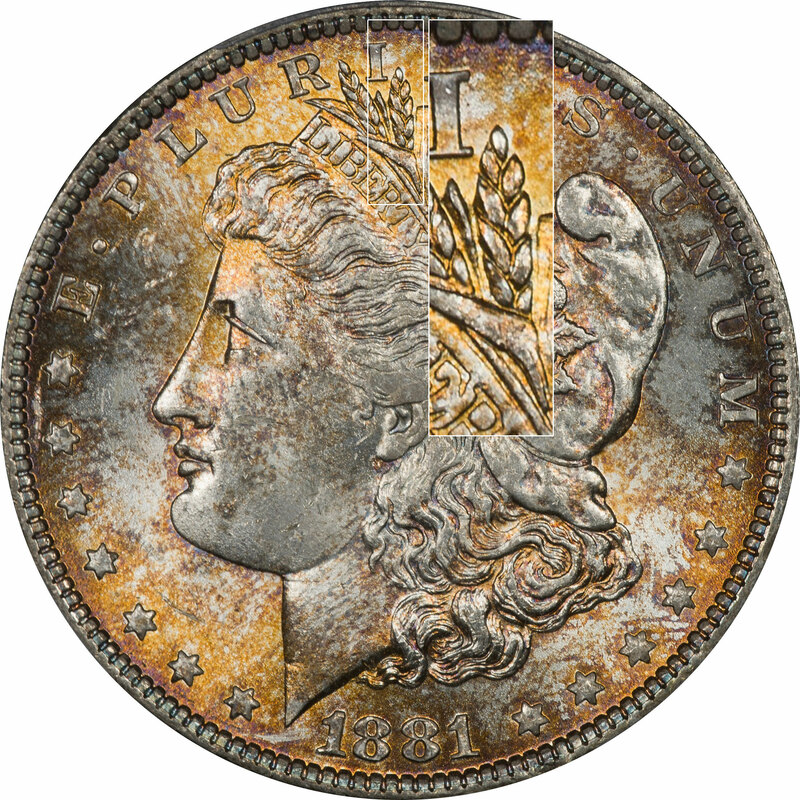 If it were completely covered with the gold/brown color it would be a monster toned coin. This is definitely a bag toned coin for a number of reasons. The colors fit, there is evidence of moisture damage, and there is evidence of contact with the Mint bag. This one probably languished in the New Orleans Mint and was repeatedly exposed to moisture or water before finally being released. There is a little color spectrum toward the top rim and it shows bright yellow, to magenta, to royal blue. These are all colors associated with bag toning.